Posted: August 28th, 2013 under Contesting, Diploma, Hamradio. Some time during last week I got a big envelope in the mail. I had noe clue as to what it was, but when I opened it, I got this diploma. #1 in Norway, but I think I was the only participant. I worked around 500 qsoes just for fun in that contest. Thank you to all for calling me and giving me a few hours of pile-up and fun. Thank you also to the people organizing the contest! 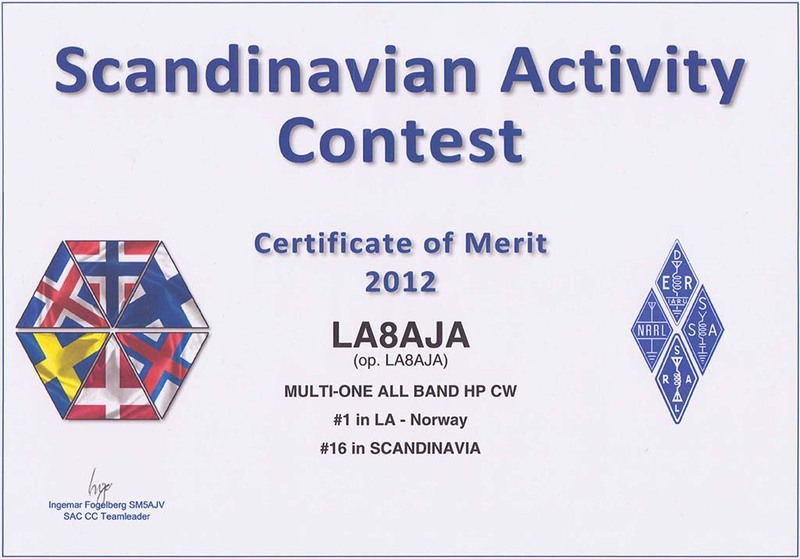 Read more about the Scandinavian Activity Contest here.